Home › Consultation › Do you know who you’re speaking to? Knowing your customer or client is invaluable to a designer or business. It allows you to tailor your service to their needs and ensure no discriminatory barriers are being created. 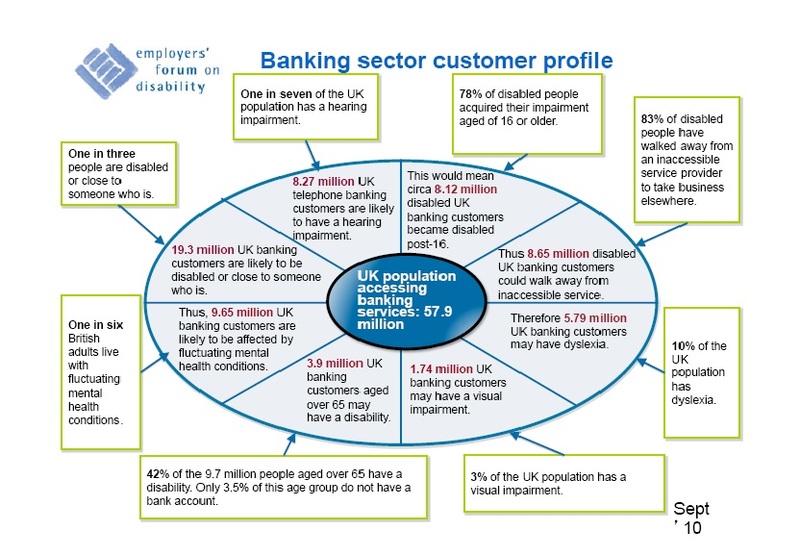 This graphic able demonstrates such profiling in the banking sector, but is relevant to any business or building project. Look at our Consultation posts to see how you can find out more about all your clients or customers.